He must not be missing on any construction site - the excavator! Now there is this important vehicle as a delicious gingerbread. The gingerbread excavator is the ideal promotional item for your company. You can freely choose the color scheme and your desired text and optionally we can put your company logo printed on sugar paper on the excavator. Now it's shoveling! 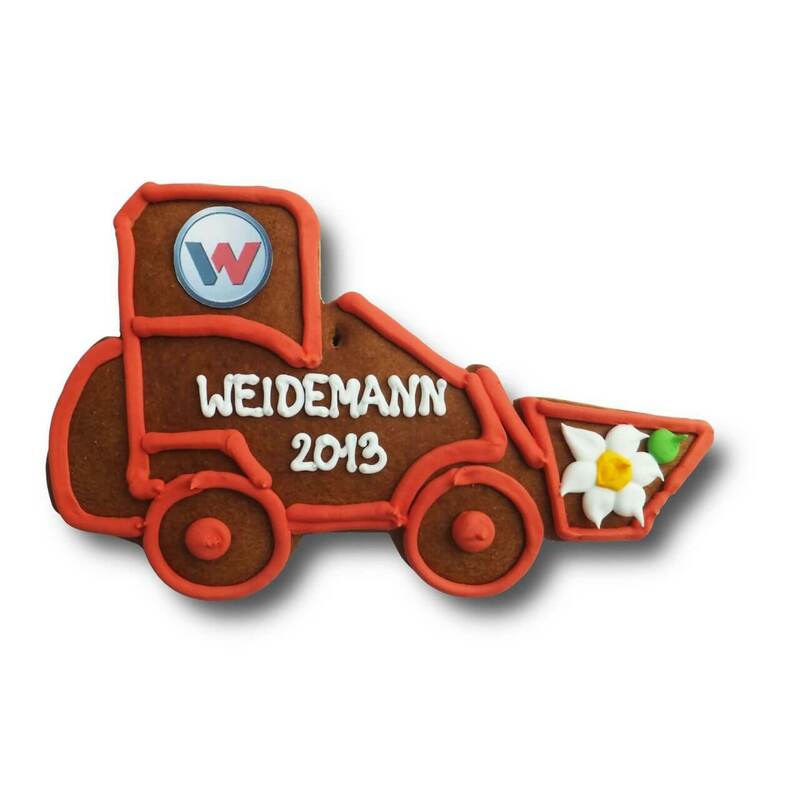 Each gingerbread excavator is unique and is made by hand, therefore, shape, color and arrangement may vary slightly.